Send Gifts To Romania assures you of the quality of all gift and flower deliveries. We offer quick, high standard gift and flower deliveries to your doorstep! Each gift and flower delivery completed by Send Gifts To Romania bears its mark of classy elegance. Send Gifts To Romania gift designs: Send Gifts To Romania offers you unique gift designs and healthy gift ideas. 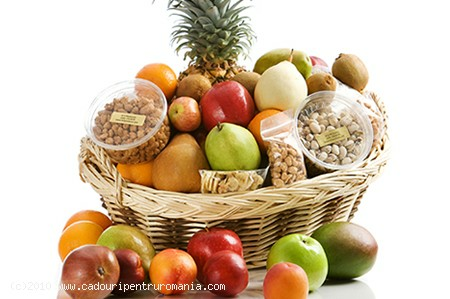 Our favourite gift ideas are healthy choices: fresh fruit gift baskets.